Hard to believe, but Consignment sale season is almost here!! You will find awesome sales all over the country almost every weekend for the next few months. For parents this is stock up time on all your winter needs or even things for next year. I have been a consignment sale girl ever since I helped run a local sale through our Mother’s of Twins club. When I first started though I had no clue what I was doing and would come home with a ton of things we didn’t need just because in the moment they looked cute or I thought they would fit. For anyone that is going to venture out to sales this season here are some of my top tips for shopping, saving and keeping your sanity at a consignment sale. Have time to spare. Slow down and really look, not just fly through the racks. Since there typically aren’t large amounts of one item, there are a lot of items to choose from. Wear the right shoes. Simple but often overlooked. Know what you need. Go through your kids drawers the day before make a detailed list, also put clothing and shoe sizes on your list. I’ve seen some shoppers write this on their hands since your arms will filled with items. Measuring your children is often better than knowing sizes. A Gap size 6 isn’t the same as a Gymboree 6 etc. I take a cheap cloth measuring tape for each child in my purse with painters tape marking dress length, waist, foot size, and pant length. You won’t need to pull it out for every garment but it will be there if needed as a reference (your kids will probably enjoy helping you make it too). Go early!! If the sale starts at 7 am people line up at 6 am. Really they do. The best equipment and clothing goes first. Often the best quality is priced the same as some of the worst, so the first folks in the door not only get great condition items, but they get great deals! Volunteer or sell at a local sale to shop early. Check to see if the local sales in your area have any slots for you to come and work to earn a few extra minutes. The biggest reason to shop early — the good deals go first! Take a laundry basket or rolling basket. You will not be able to carry everything in your arms. If you don’t have a basket with wheels loop a belt around the handle of a regular basket and pull it behind you. (I know it sounds funny but you won’t be the only one doing it). Tall laundry baskets work better than short wide ones. Be okay with lines. Just go prepared for a wait. You’ll wait to get in and to check out. There are great deals but most of the times consignment sales have way more shoppers than volunteers so be patient and kind. Do a little research on the sale. This is an inside tip… consignment sales that run as businesses usually offer the sellers a lower percentage of their earnings over non-profit sales. Because of this your non-profit sales have much lower prices for the same item (held mostly at churches etc.) . The mom’s selling their clothes don’t have to mark the clothes at a higher price to compensate for the decrease in commission. (Sorry if you run one as a business, but it’s the truth.) Both sales will still have a strong focus on quality items, because that’s what keeps folks coming back year after year. Check items thoroughly before buying. While most sales have strict quality guidelines, things can still be missed. Make sure that sizes on the clothing match what the tag says they are. Check any buttons, zippers,and snaps, also look for stains and tears. Remember that clothing shrinks. Your kids may wear a size 7, but these outfits are already pre-washed (a few times), so checking out the 8’s is a good idea too. The fall consignment sale season is upon us and great sales are popping up every weekend. 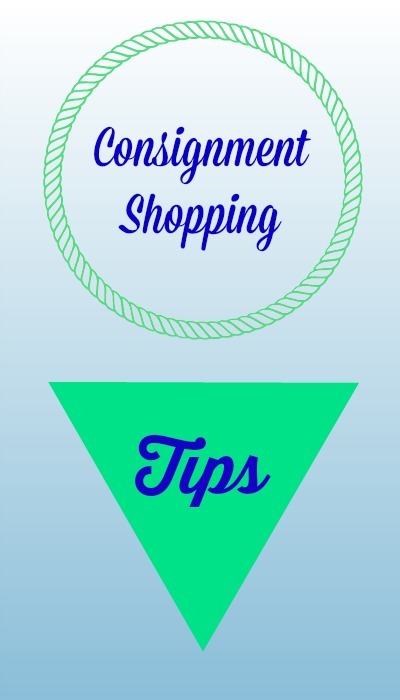 Do you have any other great tips for shopping consignment sales?